I’ve been wanting to get a pet for some time now. I figured a fish would be a great starter pet! 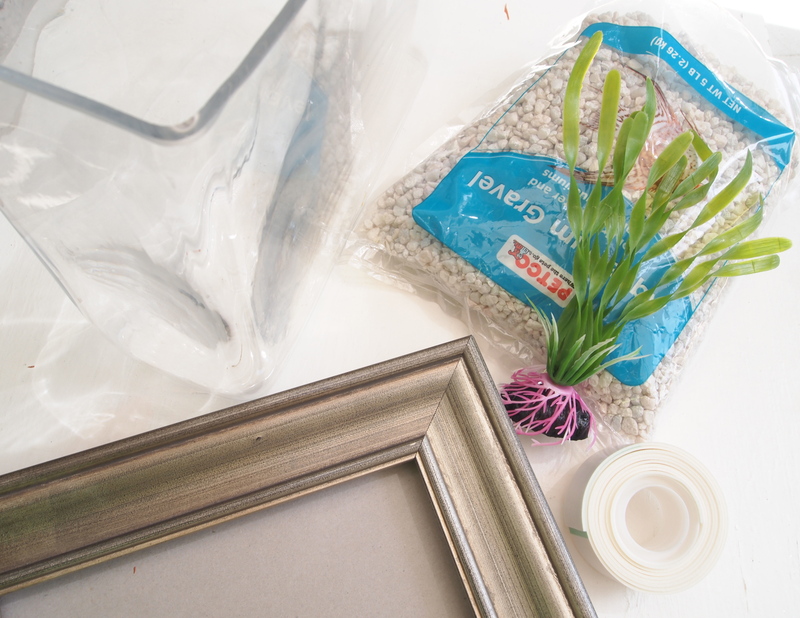 Plus a colorful Betta is a great and inexpensive way to add a little color to a room without pulling out the paint brush. I wanted a really decorative tank for my fish to live in. 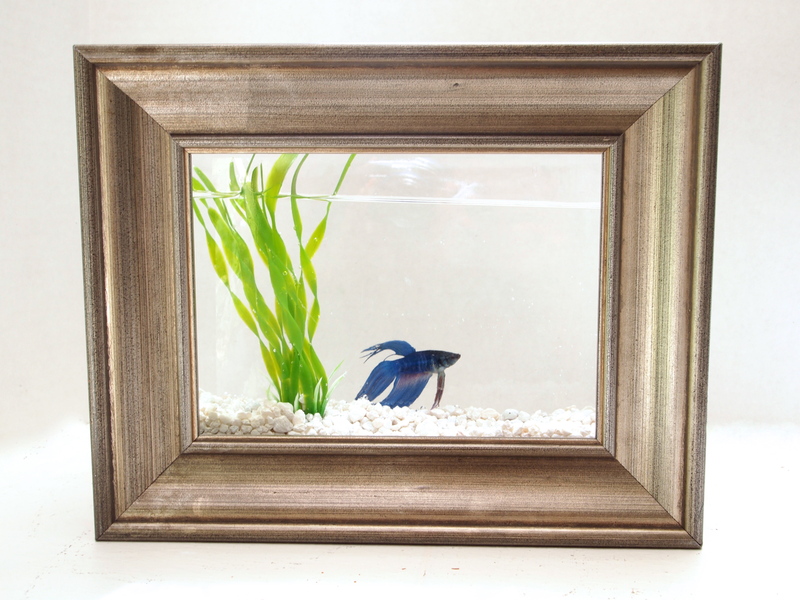 Since I always feel like I’m in an art museum when I stare at my Betta, I thought framing the tank would be a fun and creative idea to display my new moving art piece. 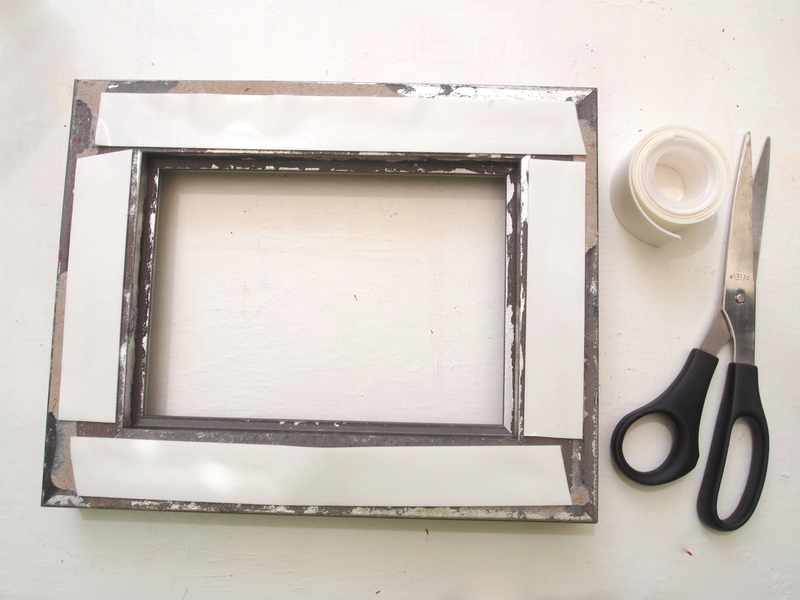 Remove the back of your frame and apply your mounting tape.